A Graeae Theatre Company and Royal Exchange Theatre co-production. As a blind person, audio description has always been one of those things that I’ve sort of loved and hated all at the same time. Completely relying on the audio when watching theatre, TV or film, I definitely get frustrated when there’s a long silence and I have no idea what’s going on, or when there is dialogue in response to something visual and I don’t know what it’s referring to. However, description that talks to me directly in a different aesthetic voice, which breaks my engagement with the piece and takes me out of the experience can be irritating. So whilst I’m incredibly glad of the moves to make the medium of visual drama more accessible, I’m keen to work with those who produce it to find ways to integrate it more effectively. I myself am a director and writer and have worked in theatre for nearly thirty years. Making theatre accessible to all disabled people is something that I have been very passionate about. However, due to lack of finance, copyright restrictions or general resource issues I haven’t fully been able to artistically explore how best to achieve this. Over the years I have watched many Graeae shows and have been hugely inspired by them, how they’ve integrated audio-description and British Sign Language in a number of innovative ways. 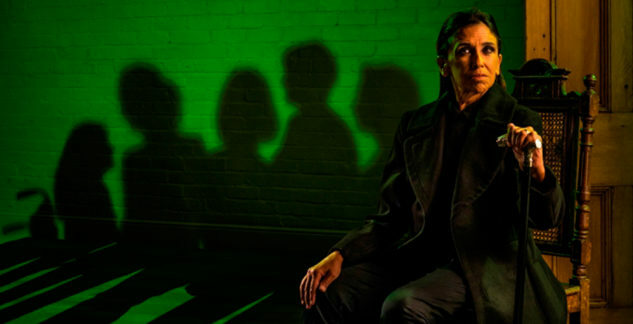 So, imagine how thrilled I was when Graeae asked me to be their audio description consultant on the current production of The House Of Bernarda Alba by Federico Garcia Lorca at The Royal Exchange. Invited in to be part of the rehearsal process, to work with Jenny Sealey, director, Nickie Wildin, assistant director and translator Jo Clifford to identify script changes and advise on specific elements of direction, to ensure that performances are accessible to visually impaired audiences. Our approach, whilst respecting the beauty and intention of the extant script, has been to fully integrate the audio description. This means that text additions have been subtle, crafted by Jo Clifford herself, so that they mould seamlessly into the original dialogue. We have also been exploring how to use sound and action to increase the possibilities of storytelling for a blind and visually impaired audience members. By giving an actress loud shoes it enables us to track her progress across the stage. By giving a Deaf performer a clanking bracelet, it enables us to physically place her even when she’s being voiced over by someone else. By encouraging performers to respond to key moments with some element of sound, it enables us to hear what they think about each event and when the full company is on stage vocally animating, it gives us the chance to experience some of those larger stage pictures. In addition to the above, a soundscape has been produced to add emotional depth, which also includes some occasional further description. It has been great being part of this production. 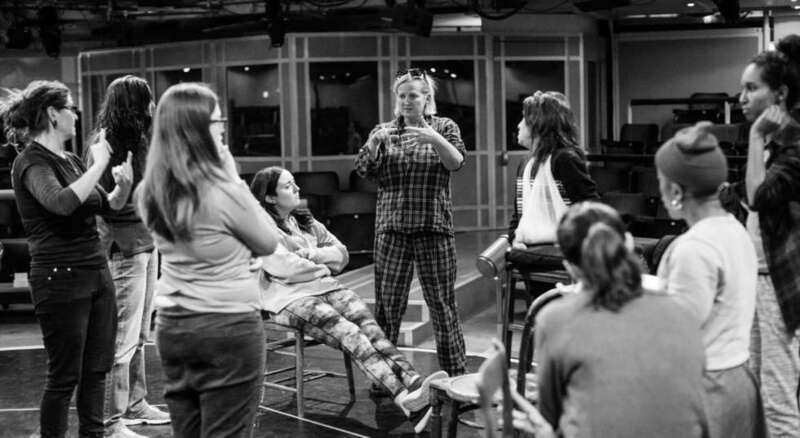 Being one of a team of artists collaborating to create inclusive theatre – Jean St.Claire has been undertaking a similar role to integrate sign language. But none of this would have been possible if we weren’t all so well supported by Jenny Sealey, her amazing actors and the rest of the production team. This is brave, ground- breaking and shouldn’t be missed!